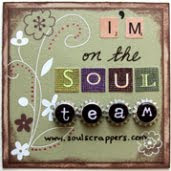 We have a new Team Designer over at http://soul-scrappers.ning.com/ she is doing a challenge called Scrap lift, something totally different for me. I'm always up for a challenge. Each month she will be adding a different page to scrap lift and you are welcome to take whatever you can from the scrap lift example…….it could be the title, the colors, the embellishments, or even scrap lift the whole page….. Here is Cheryl's first scraplift. Here is my take on her Lift. Here is her second Lift. Here is mine take on here challenge scraplift. Well, here is something completely different. This spiral building is in Cambodia . Our inspiration for this month will test you. Some suggested spirals or pointy things, someone else said an ice cream cone .Our added criteria this month is to use a PIN. 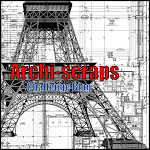 It's been awhile since I have played along with Julene's Archi- Scraps. I had this perfect photo, which was taken over Munich Germany. It was taken by Hannah , when she was on her Germany Class trip. Back in 1972 Munich hosted the Summer Olympia's. My pins are on the black arrows. The Olympic Park in northern Munich is well known beyond the borders of the capital city. The unique tent architecture of the buildings and the Olympic Tower are some of Munich’s well known landmarks. 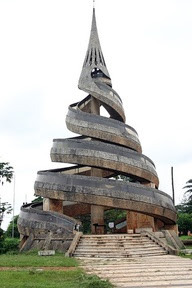 After the Olympic Games in 1972, a 300-hectare-sized park was developed into a recreation center for the entire city. Joggers, cyclists, and walkers take their laps here, and swimmers do lengths in the Olympic swimming facility.